(CNN) - Budapest has proved a first-class sanctuary for music aficionados throughout the years, drawing some of the finest musicians from around the world. 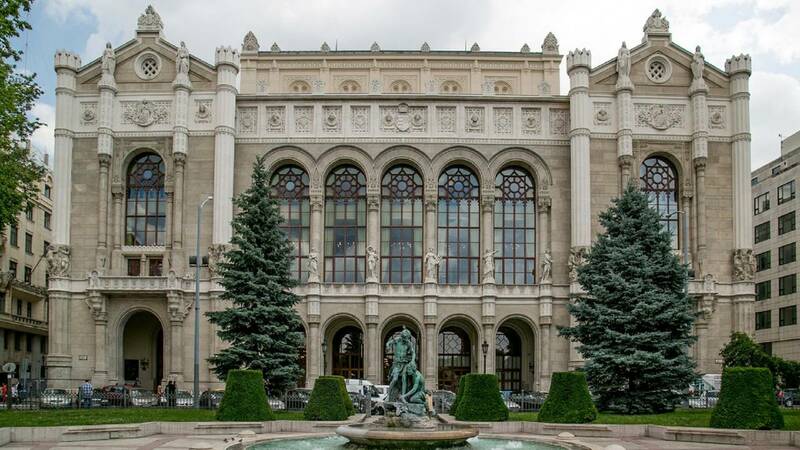 Founded by Franz Liszt himself -- a statue of the composer presides over its entrance -- this prestigious concert hall and music conservatory is housed in a magnificent Art Nouveau building . The building's frame was also strengthened, and a sophisticated air-conditioning system was installed -- cunningly concealed behind the laurel leaf decoration on the ceiling. Perhaps the finest acoustics in the city -- some say the whole of Europe -- are found in the Béla Bartók Concert Hall, positioned south of the city center in the Palace of Arts (or Müpa, to give it its popular Hungarian abbreviation). The result is superb -- the local joke is that you can hear the mistakes better too, which is enough to make any musician nervous.